If you have been seriously injured in a car accident and need help figuring out what you are entitled to for damages, it helps to realize what the various categories of damages are for your injury. At Wilson & Hajek, our personal injury lawyers in Charlottesville handle every aspect of your serious injury case to make your life easier for you in Augusta County, Waynesboro, or wherever you may live in central Virginia. One of the main categories is medical bills. The medical bills from your injury include everything from your emergency room visit, hospital charges, treating physician and any physical therapy or future treatment that you might need. This treatment can even include chiropractic care or long term rehabilitation. It is very important that you know the full extent of your injuries before considering a settlement of your claim. Our personal injury lawyers take the time to collect all of your medical bills and we also review your records to see what future treatment might be necessary based on the recommendations of your doctors. These future bills and expenses can be included in your claim if your doctors feel they are reasonably certain to occur in the future and were caused by your injury. Most insurance companies will try to limit your claim to your medical bills and will say they are a good indication of the amount of pain and suffering you have sustained. We believe pain and suffering is a separate category of damages. While your medical bills may be of some guidance, it is more important to look at what really happened to you. Medical bills for some injuries may be limited and yet the consequences of the injury may be life altering and may last for the rest of your life. Another aspect of your damages is the loss of earnings or wages you sustained because of your inability to work and your potential loss of future earnings. While you were unable to work because of your injuries, you are entitled to recover all the wages you lost from your current job. If future losses such as wage losses are expected because of your injuries, or medical treatment, doctor visits or if you have to retire early, those damages can be included. Another category of damages that is often overlooked is the loss of services that you provide. An example would be your inability to mow the grass. If you now have to pay someone to take care of your lawn service in Charlottesville, Augusta County, Waynesboro, and throughout central Virginia, this is a type of damage that can be recovered. 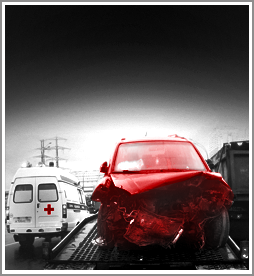 One of the most important areas of damage that car accident victims suffer is emotional distress. Emotional distress is real and, although it is difficult to assign a dollar value for such damages, it needs to be included in your claim. Insurance companies and their adjusters tend to downplay this type of damage simply because it does not have a bill associated with it. However, to the extent that your injuries have changed your life, made life less enjoyable or otherwise caused suffering, such damages should be claimed. As your lawyer, we aggressively include such damages to try to provide you with a full recovery. Included in this type of emotional distress damage is a claim for loss of consortium. Loss of consortium means that your spouse has also suffered because of the injury and such damages are also included in your claim. Many times a serious injury requires the spouse to take the role of caretaker for the injured person and at the same time the spouse may have to be the person bringing home the only paycheck for the household. It is very important to consider loss of consortium damages where the spouse has suffered because of the serious injury of the victim. One thing that is often very confusing to injury clients is that the injury claim usually does not include the claim for property damage. What this means is that in the amount of damage to your car, if it is a car accident case, it is usually resolved separately. One issue that frequently arises and which oftentimes creates a problem is the loss of value of your car based on the repairs required. Once your car has been damaged in a car accident, it is not worth as much as a car that has never been in a car accident. If you have ever checked the vehicle history of a used car, you know that every time a car is in an accident, the car accident is recorded. You are entitled to recover for this loss in addition to the repair bill. At Wilson & Hajek, an experienced car accident lawyer will help you with this type of damage claim in addition to your injury claim. Personal injury lawyers in Charlottesville serving Augusta County, Waynesboro and all of central.